Join CSCS of AZ to become a member volunteer and make a difference in cancer patients’ lives. Experience the positive effects of a community built on volunteering and socializing together. Make volunteering a part of your survivor-ship plan. Enhance your own health and well being by volunteering. Survivors, caregivers, and others touched by cancer are eligible to join. Survivors must have completed treatment for an initial cancer diagnosis or if in continuing treatment for the initial diagnosis, must be one year from initial diagnosis. Caregivers must have cared for someone who has completed treatment for their initial cancer diagnosis or if the survivor is in continuing treatment, the survivor must be one year from initial diagnosis. 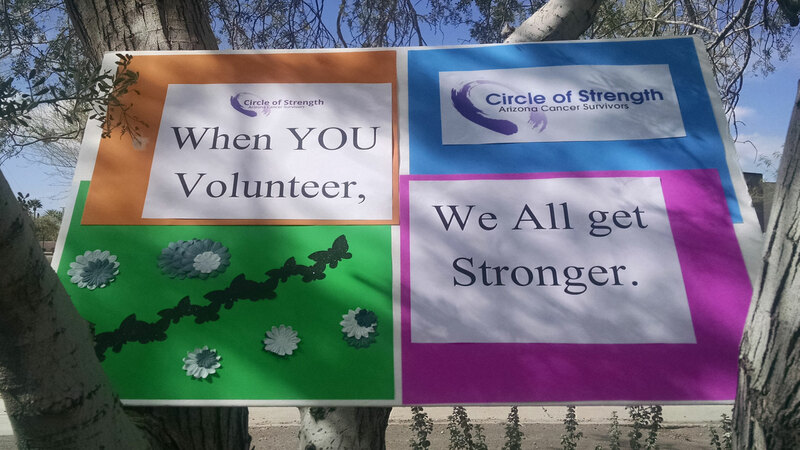 All volunteers must be able to commit to 12 hours a year as an CSCS of AZ volunteer. Peer, event and administrative support volunteer opportunities are available. CSCS of AZ requires background checks and may require fingerprinting. Certain offenses will preclude CSCS of AZ membership. 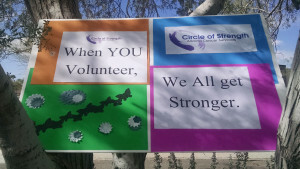 Contact Arizona Cancer Survivors Circle of Strength at info@azcscs.org or use our e-mail form.